Home / Undergraduate / News & Events / Faculty Stories / Dr. Daffner's "Stories in Space"
Dr. Daffner's "Stories in Space"
﻿ The German-Jewish poet Gertrud Kolmar (1894-1943) remains relatively unknown, due to her untimely death in Auschwitz. A German by birth and by her bourgeois upbringing in Berlin, Gertrud Kolmar returned, under the pressure of the National Socialist regime, to her Jewish roots. Kolmar, like her cousin Walter Benjamin, discerned a breakdown of public cultural space not only from the marginalized vantage point of a German Jew, but also from the doubly disenfranchised feminine space she simultaneously occupied. 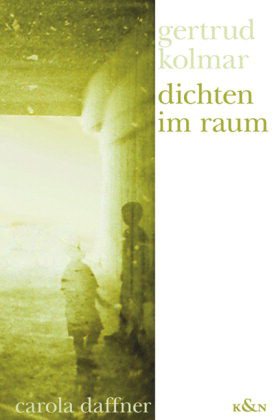 Carola Daffner’s book “Gertrud Kolmar: Dichten im Raum” ("Stories in Space"), offers exploratory readings of Kolmar’s poems and prose in order to elucidate her subtle spatial problematizations of Jewish cultural identities, both assimilated and Zionist, in the Weimar Republic and the Third Reich.